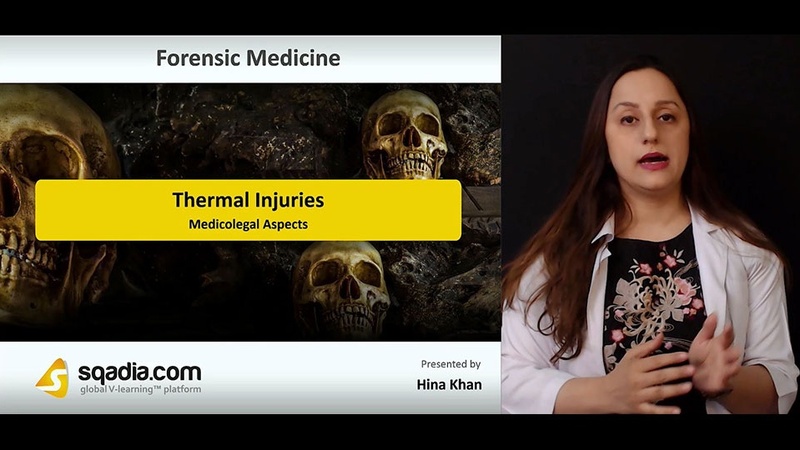 This lecture aims at discussing about the Thermal Injuries. The prime focus of section one is Cold. In the beginning, the educator mentions about the Death in Cold Water. This section is concluded by conversing about a condition entitled Hypothermia which is the reduction in body temperature. In addition to this, the educator has also shed light on Frost Bite and Trench Foot. The major focus of section two is Heat. The educator started off by elucidating in detail the Classification of Burn. Moreover, heat exhaustion and heat stroke has also been reported for an extensive discussion. In the end, the educator wraps up by talking about the Deep Burns. Section three targets at the in-depth analysis of Burns. Firstly, the educator has spoken about the Degrees of burns comprehensively. Secondly, Surface Area of Burns has been presented. Additionally, a description of Flame Burns or Dry Burns has been reported. Late on, Smoke in Trachea has also been taken into consideration. Moving ahead, this section is concluded by a mention of Post-Mortem Burns. Section four accommodates Electricity. First of all, light has been shed on Electricity. The educator has covered the voltages of domestic, industrial electricity and lightening as well. 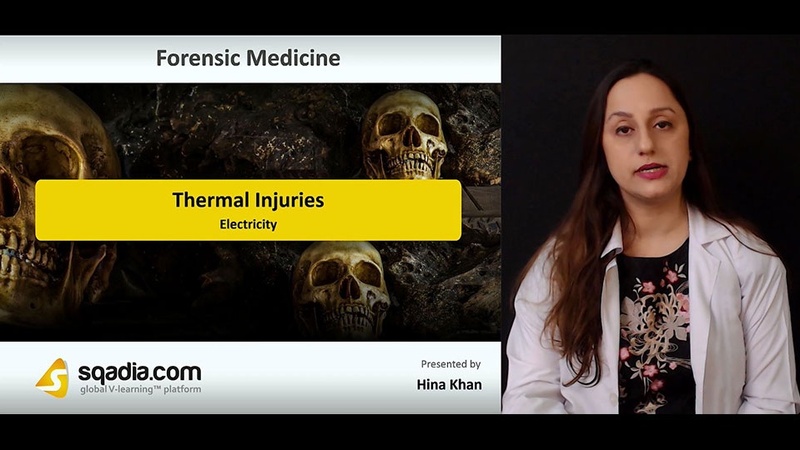 The discussion is carried forward by speaking about the Variables in Electric Shock. In the end, the section is winded up by talking about the Variables in Contact. Section five is devoted to communicating about the Medicolegal Aspects. The educator commences by stating about the Ante-Mortem Burn which are the injuries a body receives prior to death. Ultimately, this section is summed up by explaining the Age of a Burn which varies resulting in different consequences.